“Our new approach has drawn greater attention to the potential for greater political and economic freedom for the Cuban people and the gap between Cuba and other countries in the Hemisphere. More Americans are travelling to Cuba, getting past the rhetoric, meeting Cubans, and building shared understanding between our people. We have seen practical cooperation in our official dialogues with Cuba on issues in our national interest like maritime and aviation safety, telecommunications, and environmental cooperation. 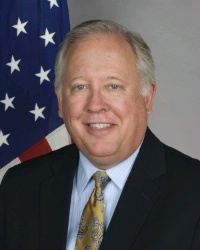 Counselor Thomas A. Shannon, Jr.
Of the 11 Committee members in attendance, six made comments and asked questions supportive of U.S.-Cuba reconciliation: Ben Cardin (Dem., MD), Barbara Boxer (Dem., CA), Tom Udall (Dem., NM), Tim Kaine (Dem., VA), Edward Markey (Dem., MA) and Jeff Flake (Rep., AZ). With Chairman Corker being judiciously noncommittal in his comments, the other four in attendance were hostile to the reconciliation: Bob Menendez (Dem., NJ), Marco Rubio (Rep., FL), Ron Johnson (Rep., WI) and David Perdue (Rep., GA). 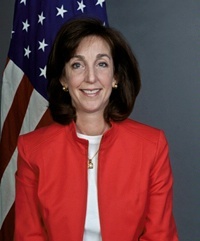 In response to Senator Corker’s opening question about whether to date the U.S. had obtained any changes in Cuba policies, Jacobson implicitly said none by emphasizing that the U.S. actions to increase the ability of U.S. nationals to travel to Cuba and to send remittances to Cubans were assisting the latters’ ability to form businesses and over time to be agents for change. The same was true, she said, of new U.S. policies to encourage U.S. businesses to export telecommunications equipment to the island. Shannon added that the new U.S. policies helped the U.S. with other countries in Latin America, especially within the Organization of the American States (OAS) and the Summit of the Americas. Jacobson also mentioned the OAS and the United Nations as well as continued U.S. annual reports about human rights as means the U.S. would use to assess whether Cuba makes improvements in human rights. She also reiterated her point about U.S. travel and investment in Cuba as instruments for aiding such improvements, all in response to a question from Senator Rubio. Rubio also pressed Jacobson to concede that the U.S. and Cuba had different notions of human rights. 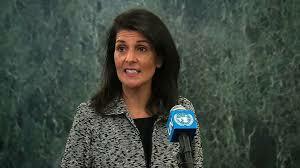 She did so with respect to free speech, peaceful assembly and elections, but she did not point out the U.S.-Cuba agreement on many theoretical issues of human rights as discussed in a prior post. Another major Rubio argument was increased American travel to Cuba merely benefited the Cuban government and military, which owned, in whole or in part, hotels and car rental companies. The amount of such travel to Cuban bed and breakfasts in private homes was insignificant and, in any event, such private establishments had to pay big fees to the government for such businesses. Moreover, Rubio continued, many of these hotels and other properties had been owned by Americans and others and stolen by the Cuban government. Therefore, Rubio said, the U.S. should not be promoting such increased travel. Senator Boxer responded to this argument by pointing out that the U.S. permits travel to Viet Nam, China and Russia where hotels and other businesses are owned by the state. She also pointed out that direct interactions between U.S. and Cuban citizens should encourage the latter to want more rights. In addition, Boxer said, the rapprochement was improving cooperation regarding Cuba for the U.S. from Europe and others in this Hemisphere. An example was Panama’s reaction to Cuban efforts to suppress free speech at the recent Summit of the Americas in that country. However, I was surprised that no one responded to Rubio’s argument about hotels that had been stolen by the Cuban government. Indeed, there are substantial damage claims against the Cuban government for its uncompensated expropriation of property, and this is one of the claims the U.S. now is asserting against Cuba, and a prior post argued for submitting these and other damage claims by both countries to an international arbitration. Senator Johnson focused on provisions of the Libertad Act (a/k/a the Helms-Burton Act) imposing preconditions on U.S. relaxing sanctions against Cuba, presumably as a predicate for an argument that President Obama’s easing of certain sanctions was unauthorized and, therefore, illegal. Jacobson pointed out, however, that other laws had exceptions to sanctions and provided authority to the President to do what he has done. Moreover, she said, the Administration had asked Congress to enact legislation repealing the U.S. embargo of the island, including the Libertad Act. Senator Menendez, a Cuban-American and a vigorous opponent of the reconciliation, barely concealed his anger over the change in U.S. policies. Since December 17th, he argued, there has been no improvement in Cuban human rights, and in fact there has been a deterioration on this subject. Senator Perdue reiterated Menendez’ argument about human rights and asserted that Cuba was still a state supporter of terrorism. It allegedly was helping Islamist terrorists, had shipped arms to North Korea that were intercepted in Panama and had another ship with explosives that on February 28, 2015, was intercepted by Colombia. Counselor Shannon pointed out that this Colombian government action was an example of the increased cooperation the U.S. now is obtaining from others in Latin America as a result of the new U.S. policies about Cuba. Senator Kaine stated that there are roughly 600 bilateral relations in the Western Hemisphere and that the only one without normal diplomatic relations is U.S.-Cuba. In addition, there are no inter-state wars in the Hemisphere and the only civil war is in Colombia, which is the subject of peace negotiations now being held in, and aided by, Cuba. Counselor Shannon concurred, saying this was a remarkable achievement for the Hemisphere going along with its economic and democratic improvements. This hearing, in my opinion, did not really provide any new information about the issues or the positions of the participants, which probably why it was not covered in U.S. news media. The hearing and the lack of news coverage underscored the importance of U.S. citizens who support the reconciliation efforts to convey their opinions to their Senators and Representatives and of the formation and actions of groups like the U.S. Agricultural Coalition for Cuba and Engage Cuba Coalition. This post is based upon a video of the hearing and on the embedded citations to the opening statements of Senators Corker and Cardin, the testimony of Assistant Secretary Jacobson and Counselor Shannon and to some of the comments by Senators Rubio, Menendez and Perdue.